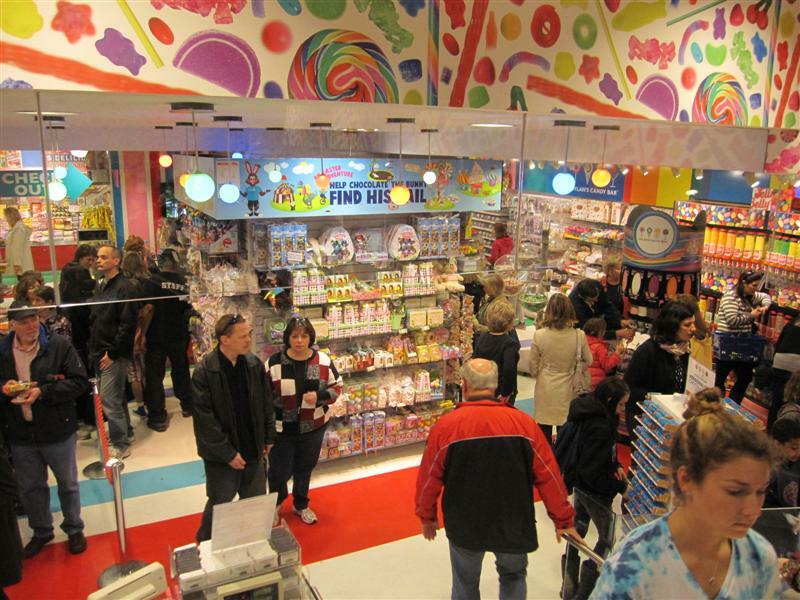 At 15,000 square feet, the New York City flagship is one of the world’s largest candy stores by square footage, spread out over three floors of retail space. (There are also Dylan’s locations in East Hampton, NY; Houston, TX; Los Angeles, CA; and Miami, FL.) While you’ll find all major brands, from M&M’s to Wonka, Dylan’s also colorfully packages its own brand of confections, like chocolate-drizzled popcorn clusters and chocolate bars in flavors like Red Velvet Cake and Banana Cream Pie. 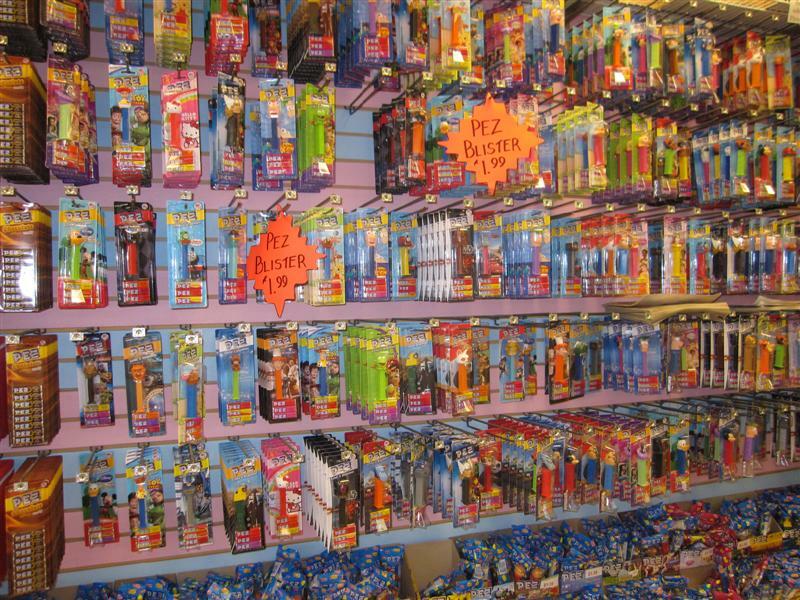 I especially enjoyed the Nostalgia Shoppe of “retro” candy, like Bit-O-Honey and other childhood favorites. Meanwhile, my kids begged to skewer marshmallows and Rice Krispie treats to dip under the chocolate fountain. Best Bet For Valentine’s Day – Check out their gift box assortments of chocolate-covered strawberries and Oreos, with red and pink drizzle and sprinkles! What began in 1903 as a family-owned store in Ohio has grown over time into seven Daffin’s locations in both Ohio and Pennsylvania. 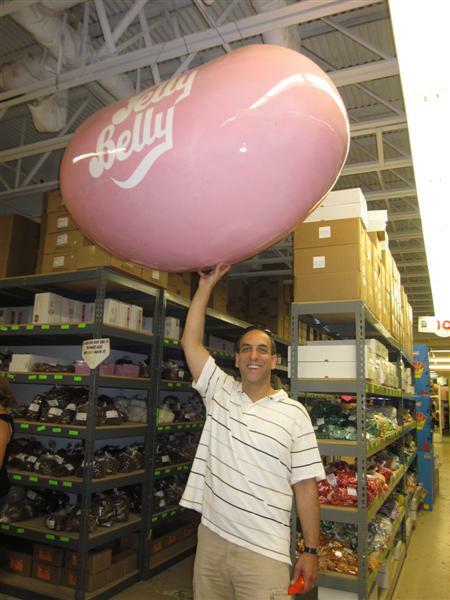 The largest of these, the 20,000 square-foot store in Sharon, claims the title of the world’s largest candy store. 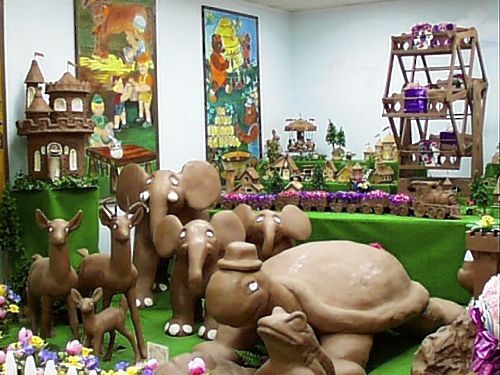 A large part of this store is actually the Chocolate Kingdom attraction with large chocolate animals, including a 400-pound chocolate turtle, an elephant, frog, and reindeer. There are also two large castles, and an entire miniature village with chocolate houses and railroads. 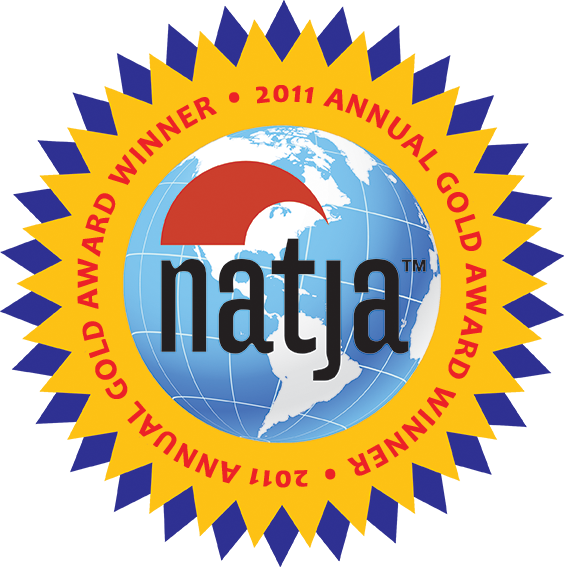 We have not been to Daffin’s ourselves, but we did publish a less-than-glowing guest post a while back. 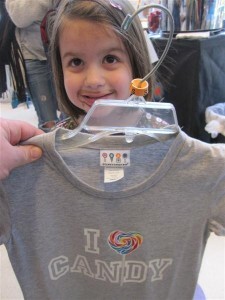 Our reviewer did, however, appreciate the free chocolate samples, and the large wall of salt water taffy. Best Bet for Valentine’s Day – To this day, each piece of Daffin’s candy is decorated by hand, so a heart-shaped box of assorted chocolates would, in fact, be acceptable in this case! Unfortunately I don’t get to eat too much of that because then I break out… but that Chocolate Kingdom looks delicious. I live right near the AZ store. It’s a must stop for stocking stuffers. Ooooh, I bet it is! I wonder which holiday is its busiest.